Ricoh provides products and services to customers in about 200 countries and regions, targeting a global market. To accomplish this, it is necessary to globalize the research and development structure and utilize the best brains and technology assets from around the world. Ricoh runs research facilities in Japan, the United States, India and China, promoting deep collaboration among our facilities worldwide, while utilizing regional characteristics. We also established Technology Centers in every region to support customers from a technical aspect, respond to their needs quickly, and reflect this in our products development process. Headquartered in California’s Silicon Valley with a subsidiary in Bangalore, India, Ricoh Innovations Corporation (RIC) develops innovative technologies and creates new businesses. Founded as Ricoh Innovations, Inc. in 1997 as a subsidiary of Ricoh and expanded to Ricoh Innovations Corporation in 2013, RIC is home to world-class technologists, accomplished ethnographers and designers, and an experienced business team. 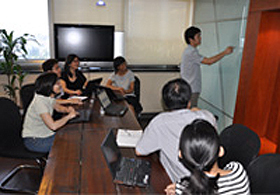 Research subjects include broad advanced technologies such as intelligent sensing, computational optics, image processing, wireless communication and cloud collaboration. 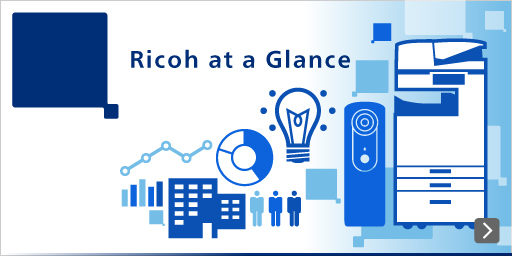 Ricoh Innovations Corporation addresses the large opportunities and challenges presented by “The Infinite Network” – RIC’s vision of the future in which all things and all people are connected all the time. 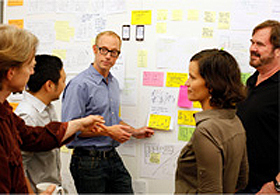 Through the seamless integration of technology, user experience and business expertise, RIC generates Deep Innovation leading to the creation of new businesses that provide value to Ricoh’s customers. Internal innovation is complemented by Open Innovation: working in partnership with a broad range of leading universities and forward-thinking companies around the world. RIPL's goal is to extend the operations of RIC, leveraging core technologies developed at Ricoh and RIC. By combining market-oriented technology development with regionally optimized research, RIPL will pioneer new business tailored for India's rapidly growing market. RIPL’s software and systems R&D teams focus on supporting cutting-edge projects in large market segments such as health care, education, finance, media and entertainment. The technologies and services developed by RIPL form the groundwork for IT solutions for other large emerging regions in addition to India, including Africa and South Asia. Together, these constitute a market of over 2.5 billion people. Ricoh established Ricoh Software Research Center (Beijing) Co., Ltd. (SRCB) in the Zhongguancun Science Park in Beijing, China, at the beginning of 2004. This Science Park is attracting much attention internationally as an industry cluster, where government agencies, eminent universities, leading research institutes and laboratories of global companies are concentrated. Beyond that, exceptional personnel get together, and the infrastructure to promote research and development is well maintained through governmental support. It is an excellent venue for innovating software and solutions. SRCB is conducting research and development of systems and solutions which are required in the future office, image and video processing, embedded system, wireless network, system control, and data mining, etc. The center is also actively engaged in joint research and exchange between personnel from eminent Chinese universities and institutes. Examples include neighboring Peking University, Qinghua University, and the Chinese Academy of Sciences to accelerate high-level research activities. SRCB aspires to be a global class laboratory, we use English as the working language. We comprise many researchers who have studied abroad in the Western Countries, as well as Chinese domestic talent. 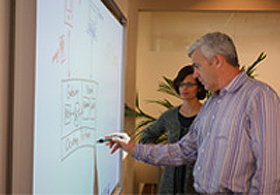 Many collaborative projects are underway with the R&D sector in the Ricoh Group. They are conducted in an environment for efficient research and development utilizing new collaboration tools in practice. In order to respond to the rapid business environment changes in timely fashion, it is not always best to conduct R&D activities internally. We promote open innovation to accelerate R&D activities by proactively cooperating with universities, institutes and companies around the world. To achieve this, we have to take the opportunity to form or join research alliances, contract the joint research with heterogeneous bodies across industries.